Performers include: Seth Peterson, Mike Farrell, Melina Kanakaredes, Paula Cale, Concetta Tomei, Dana Daurey, and Samaria Graham. 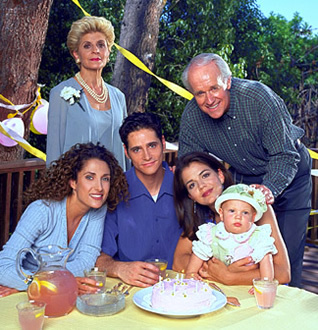 Dr. Sydney “Syd” Hansen (Melina Kanakaredes), a high-profile Hollywood plastic surgeon, returns to her hometown of Providence, Rhode Island, for the wedding of her pregnant younger sister, Joanie (Paula Cale). But before Joanie weds Richie (Erik Bruskotter), the father of her child, her mother Lynda (Concetta Tomei) passes away. After having buried her mother instead of watching her sister walk down the aisle, Syd returns to Los Angeles to find her boyfriend cheating on her with another man. She packs up her life and returns to Providence to live with Joanie, her veterinarian father, Dr. Jim Hansen (Mike Farrell), and mischievous younger brother Robbie (Seth Peterson). She takes a job at a free clinic practicing family medicine but realizes there’s no quick cure for her own family as they each struggle with their careers, love lives, and the death of Lynda. But Syd isn’t without the advice of her mother as she often visits Syd in her dreams and continues to try and guide her daughter through life, whether Syd wants to hear it or not. Though Syd had wanted to escape her needy, high-maintenance clients on the West Coast, her family and patients on the East need just as much attention, if not more. Caring for her family and patients at the clinic takes its toll on Syd as she looks for a partner to help take care of her.